Embracing a destination such as Sudan, get ready for a rewarding experience, in the sublime routes to the desert. The Sudanese hospitality might charm more than one. It is situated in the northeast of the continent bordering Egypt, Libya, Chad, Central African Republic (CAR), South Sudan and Eritrea. With a population reaching 41 million in 2016, it is among one of the largest African countries. The natural increase is set to be positive within the beginning the 2017. What Should I Know About Doing Business in Sudan? Sudan is the country where everything is controlled. You have to obtain a permit for everything you undertake, even if you’re going for a drive outside of Khartoum or to visit touristic places. Those permits have to be obtained from the Government authorities or the Ministry of Culture, Humanitarian Affairs, the Tourism Office or the Police. Beware, Speaking Arabic is almost a must. Africa HR Solutions Ltd through its network of partners, can offer the Contractor a global immigration solution in Sudan. The Contractor who intends to carry out any business related activities needs the following documents: Business Visa and Work Permit. Business Visa – Africa HR Solutions Ltd ensures that the contractor is fully compliant to work in the country and seeks all avenues in ensuring that the specific requirements of the country are met. Africa HR Solutions Ltd will ensure that all requirements are fulfilled and that the contractor is fully aware of any developments needed to ensure a successful acquisition of the business visa. Work permit – Applying for a work permit may be done whilst in the country or before the contractor is deployed in the said location. Africa HR Solutions Ltd ensures that the contractor obtains the work permit in the correct way to ensure that he/she is not disrupted by local authorities in any form once the work process has commenced. A work permit may take a few weeks to secure but Africa HR Solutions Ltd ensures that the work permit application process is done in the most efficient way possible and that all requirements are adhered to, including and informing the contractor and end user of any additional requirements that may be needed. Built where two Niles reunite, Khartoum is the official capital city of Sudan. It is a vast city which has three main cities: Khartoum North, Bahri and Omdurman. It is a very modern town with a number of contemporary infrastructures, souqs and touristic sites. Home to the administration, education and political buildings, it is where it happens. Arabic is the official language of the country and the mother-tongue of half of the population. English is also widely spoken with more than 400 other native languages. 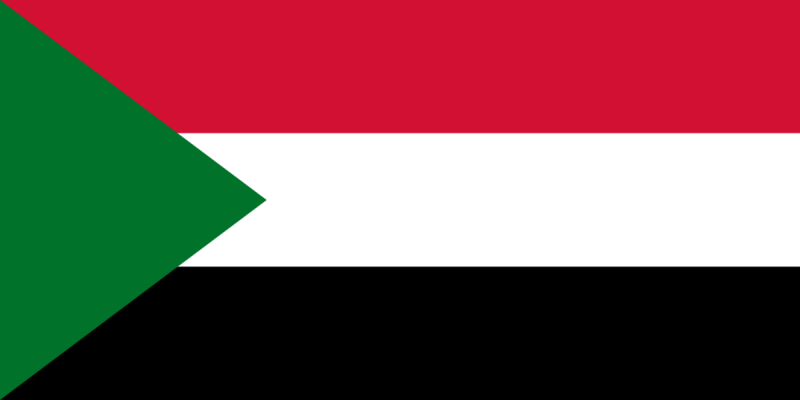 Sudan is an agricultural country and where the oil industry has an important role to play in the country. With an abundance of natural resources, both employ more than half of the population. However, the country remains undeveloped and underprivileged. It depends heavily on its primary sectors: Agronomic, petroleum exploration and refineries are the biggest players in Sudan’s industry sector. Despite the slow progression, Sudan still attracts new investments and can experience a new growth. Sudan suffers from inadequate portable water supplies, which gives rise to problems such as periodic droughts, soil erosion and desertification. Due to excessive hunting, the wildlife population is threatened.